In 2014, The Aotea Youth Symphony's music appeared on a advertisement for Linea Weatherboards! The Symphony's players were given an opportunity to work in a professional recording studio. What a great experience to see how the industry works first hand! 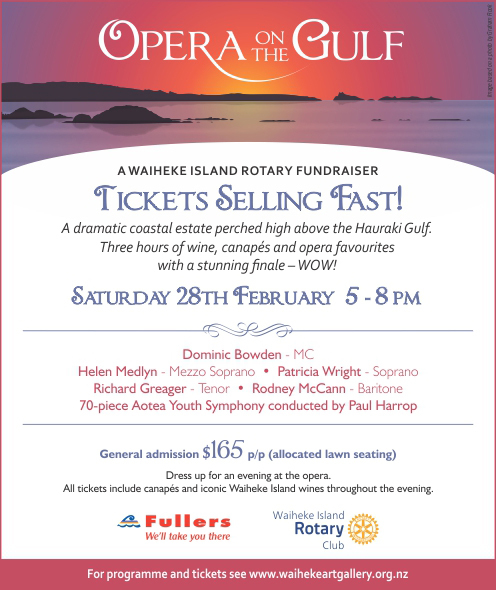 The Aotea Youth Symphony will be playing and supporting some of the counties best Opera stars for this prestigious event. A summers evening of operatic favourites. 70 Piece Aotea Youth Symphony conducted by Paul Harrop. Dress up for a night at the opera! In an effort to boost teacher morale, X Factor host Dominic Bowden partnered with the Aotea Youth Symphony to celebrate Auckland’s Most Noteworthy Music Teacher. Nearly 1000 students voted in an Aotea Youth Symphony-led competition for their favourite teacher with Mrs Ronnie Karadjov of Marist College claiming the inaugural award. Mrs Karadjov is thrilled that the Aotea Youth Symphony has recognised her work. Bowden, who played the clarinet in the Aotea Youth Symphony, says that he owes a lot to the symphony and his former music teachers. Mrs Karadjov received prizes valued at over $1000 sponsored by KBB Music and the Lewis Eady Charitable Trust. Aotea Youth Symphony was formed in 1986 and has been conducted by Paul Harrop since its inception. It has about 65 members from the ages of 12 to early 20s and is always searching for new talent from players at Grade 5.